Dwayne James John Bravo (born 7 October 1983) is a West Indian cricketer. A genuine all-rounder, Bravo is an aggressive right-handed batsman and a right-arm medium-fast bowler. He was a key member of the West Indies team that won the 2012 ICC World Twenty20. Bravo played for the Mumbai Indians, and was later signed by the Chennai Super Kings in the Indian Premier League. Bravo is Chennai Super Kingss leading wicket taker. Bravo also plays for the Melbourne Renegades in the Big Bash League, and the Chittagong Kings in the Bangladesh Premier League. He was named as a franchise player at the launch of the Caribbean Premier League for the 2013 tournament. 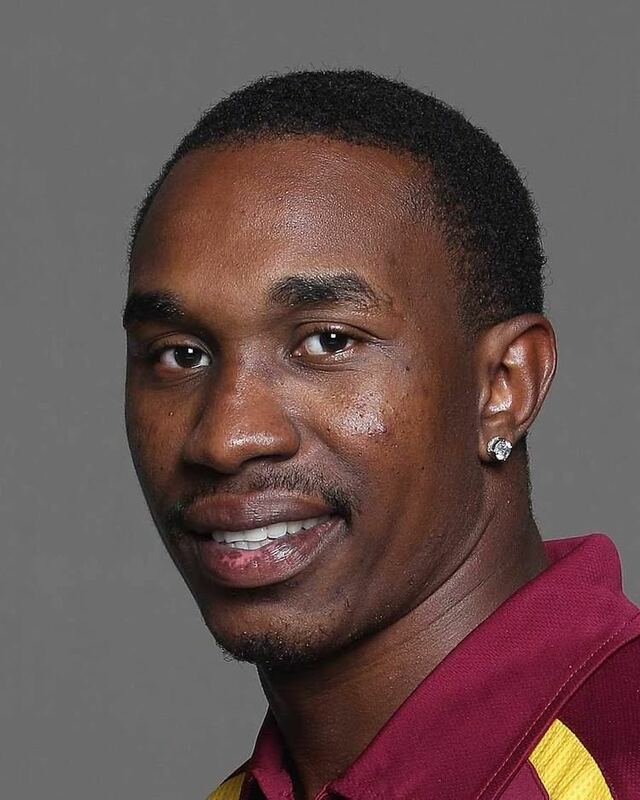 On 31st January, 2015 Dwayne Bravo announced retirement from test cricket. He played last test match for West Indies in 2010. During a Test series against South Africa in 2005, Bravo scored his maiden century – 107 before getting out to Mark Boucher – in the fourth Test in Antigua, but that was overshadowed when he accused South African Graeme Smith of directing a racist comment at him. At the subsequent hearing no evidence could be found and charges were dropped against Smith, who immediately demanded an apology from Bravo. Bravo, backed by the West Indies Cricket Board, refused to do so and received a hail of criticism from an indignant South African press while finding support at home as a human rights campaigner. Dwayne Bravo played for the Mumbai Indians in the Indian Premier League for the first three seasons. He was picked up by the Chennai Super Kings during 2011 IPL Auctions.